If you’re feeling down this holiday season, here’s a surefire pick-me-up to lift your spirits. Just Google Secret Santa Kmart and see the brimming news of a philanthropic phenomenon that has spread across America. I love surreptitious surprises and movements of kindness, so I couldn’t help but get the chills after reading personal accounts of peoples’ stories of and reactions to anonymous Kris Kringles who are secretly paying off customers’ layaway accounts. "I was surprised. It seemed so amazing to me," said Annette Pride, who works the layaway counter at a Kmart in Colorado and has witnessed acts of covert generosity since late last week. "One woman stopped at the pawnshop and pawned something" to pay off her balance, Pride said, "but when she got here she found out that someone had already done that." While all of the anonymous donors are different, there’s a common thread (besides good ole holiday cheer) - they’re paying off Christmas gifts other families couldn't afford, especially toys and children's clothes set aside by impoverished parents. These anonymous donors are leaving a one cent balance so the account doesn’t get closed out before the customer can pick up the goodies. Many have also been urging other strangers to follow their example. From Washington to Florida, Kmart stores in more than 15 states have been hit by Santa’s helpers. Some recipients say they’re going to find a way to pay the act of kindness forward, while other Kris Kringles are encouraging people to be inspired to do the same. If you’re moved by what these anonymous donors have been doing, follow their lead! If you don’t have the means to do this, think of ways you can give this holiday sans the cashola. Send a nice, hand written note to someone to express your gratitude. While I love using the power of the internet and social media to inspire social change - that’s why Go Inspire Go exists - go offline and write a thoughtful card. The details go a long way. Trust me on this. Volunteer at a local charity this holiday and give the gift of service. During this time of year, food banks and soup kitchens need man and woman power! Give your talents. Are you good at baking, singing or making people laugh? Give your time to someone in need. I know plenty of people who need help with chores, babysitting and errands this time of year. Go Inspire Go (GIG) is proud to this month’s Social Good Spotlight, to raise awareness of individuals and organizationsdoing good in their communities in order to inspire others to take action and ultimately make real social change. GIG believes everyone can find inspiration in helping others, whether it’s through doing small acts of kindness or working at an organization dedicated to making a difference. If you know of an individual or organization that you think should be featured, please contact Marcia and help us forward their stories to inspire the world. What is Wonder Dog Rescue? Wonder Dog Rescue is a dedicated network of foster homes and volunteers, rescuing dogs from all over Northern and Central California. Dogs come to the organization through owner surrender and shelters. 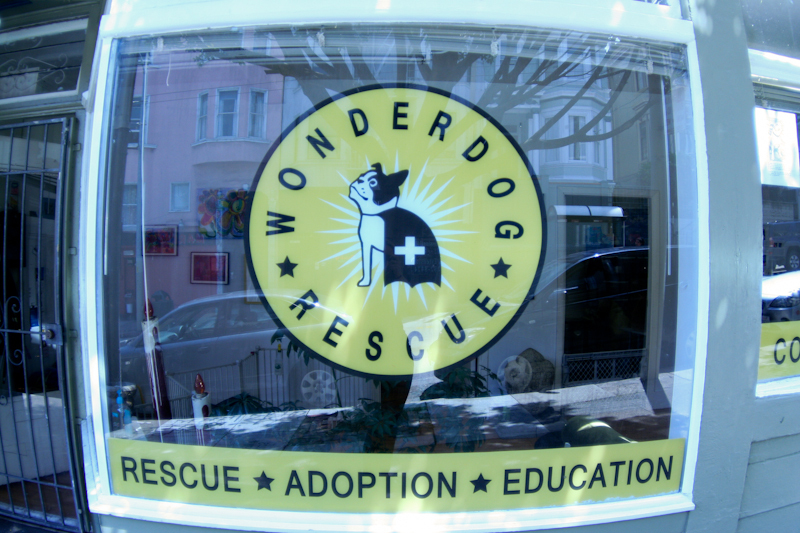 What is Wonder Dog Rescue’s mission? What big changes is it trying to make? Wonder Dog Rescue was originally founded to rescue, rehabilitate and place Boston Terriers and others at risk of being euthanized due to the pet overpopulation problem. Over the years, it has expanded to include all sizes, shapes and ages of dogs and its mission has grown to include public education and awareness. How is Wonder Dog Rescue using its power to help others? Nationwide, approximately 5 million to 7 million companion animals enter animal shelters every year and approximately 3 million to 4 million are euthanized. Many of these animals have been relinquished by owners or picked up by animal control. Wonder Dog Rescue has saved blind and deaf dogs, puppies as young as two weeks and seniors as old as 15. The organization offers hospice to special needs and elderly dogs, caring for them until the end of their lives. 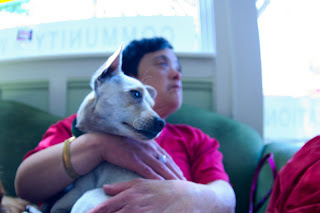 What inspires Wonder Dog Rescue to do this work? What is Wonder Dog Rescue focusing on now? - “Guarding Dogs” Documentary: About a year ago, Wonder Dog Rescue was approached by J.R. Fleming of Unstuck Productions about a documentary on rescue dogs which led to the production of Guarding Dogs. WDR is a fiscal sponsor for the project and is one of the organizations featured in the film. - Rescue Runs: In January 2011, with the support of the Shaw Family Fund, Wonder Dog Rescue purchased a van that has been used to transport dogs from high-kill shelters to rescue groups, travelling between Los Angeles and the Canadian border. How can GIGSTERS get involved and support Wonder Dog Rescue? 1. Foster a dog – Wonder Dog Rescue will provide you with the supplies you need (food, toys, leashes, etc) to have a good experience and help with any questions or issues that arise. 2. Volunteer - Volunteers are especially needed for event planning, networking (Facebook, etc), photographing dogs and getting them up on Wonder Dog Rescue’s website, Petfinder.com and craigslist. Volunteers also work at adoption events & walk and/or socialize the dogs. Complete the volunteer application form to inform Wonder Dog Rescue of your interests. 3. Donate - If you are unable to foster or volunteer, consider making a donation, which will help to defer the costs of running rescue, transporting dogs and providing medical treatment to animals in need. Who doesn't love socks? They're warm, fuzzy and for the most part, inexpensive -- unless your phalanges are of the fabulous kind. As a journalist, I've covered many stories about homeless people -- and guess what? Socks nearly top their wish lists. With that said, GoInspireGo is excited to share our first GIG Spark submission. Way to go and thanks Sierra Sanchez for warming our soles and our souls! Your Turn: It’s simple - buy socks and give them. No strings attached. One of our favorite organizations, Just Give has a list of 35 things you can you to help the homeless. It’s easy, inexpensive, and a good GIG. WHAT’S A GIG Spark & CREATE your own! As a part of GoInspireGo’s mission to inspire our viewers to discover their power, we've joined forces with Youth Service America (YSA), Lil' MDGs and Miley Cyrus' "Get Ur Good On" to bring you GIG Spark: A Lesson on Compassion. A "GIG Spark" is a short 1-1:30 minute video that inspires viewers to take action and help others after they've watched the video. The video will feature you showing and telling viewers what you want them to do on video. It's simple, quick and can generate inspiration for others! The goal: a fun, easy way to inspire action. We're inviting YOU and your community (school, organization, friends, etc.) to use your passion and creativity to produce a "GIG Spark" and inspire viewers with your story. This is for anyone who can shoot and edit short videos. Get Started on a GIG Spark now. We can't wait to see inspiring acts popping up all over the state, country, and world! What can YOU do? I was even more saddened when I found out that it costs only $85 a year to send a child to school. This important opportunity includes a uniform, shoes and books. I was compelled and empowered to relay this news to my classes at the Academy of Art in San Francisco where I teach a myriad of multimedia classes. Immediately, hands shot up in the air -- many students were adamant about helping. Some students said they were going to follow my lead this Christmas and instead of asking for gifts, they too would ask loved ones to fund a child’s tuition. This ripple of kindness started during the summer of 2010 by another student –- Julian Cohen, a junior at a high school in New Jersey when he participated in a five-week summer program at the Academy of Art University. At the end, Julian told me he was inspired by my nonprofit, GoInspireGo, and wanted to do a story that he had researched about Alerte, whose mission was to build a high school in his hometown of Grande Saline. There are only two junior high schools in this town. "Every time I go back to visit, the people tell me, 'Reverend, we need a school,'" Rev. Alerte explained. There are no high schools, so after junior high, the students don't have a choice but to travel five hours away to attend school. Students whose parents can't send them to school are resigned to a junior high education. With fundraisers and community help, Rev. Alerte started to build the school, but had to stop after running out of funds. He needed $18,000 to complete the school. The students raised $1,643.85. When I called Rev. Alerte to tell him the news, he was overjoyed. “Thank you, God Bless you!” he said. I was pleased to learn that his church helped raise the money to complete the school. Recently, Rev. 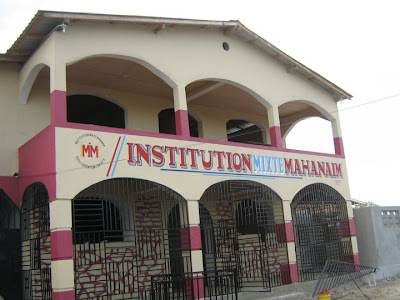 Alerte told me the bittersweet news - 177 kids enrolled in the Mahanaim High School, but only 96 were able to attend. 81 are still waiting to get in. I told Rev. Alerte that the money raised from the Willow Glen High School band class will send 19 kids to school, leaving 62 students needing funding. I made it my personal goal this holiday to send as many of the 62 kids to school as possible. I’ve never seen my students this excited and take ownership over any philanthropy project. Likewise, many Willow Glen parents told me they too have never seen their children so enthusiastic about anything (especially because this wasn't "me-centric.") Meanwhile, my students are using social media to inspire social change and are tweeting, Facebooking and blogging the video to everyone who will listen. Please specify on the check memo "Mahanaim Student Tuition - gig"
It’s nice to see that my students using their power (and the multimedia skills I’ve taught them) to give back to other kids who have less resources and privileges. It’s joyful to witness the shift (from me to “we”) that I see in them. They’re learning compassion and experiencing the gift of giving. Thank you for giving the gift of education!